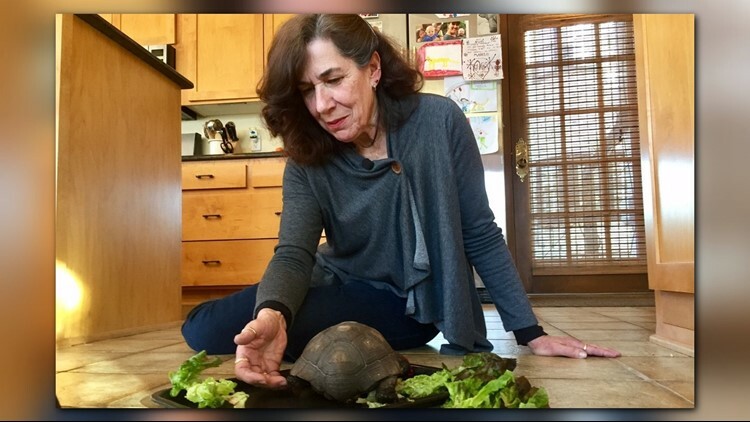 "George is probably my oldest friend," Jeanna says of the gopher tortoise she brought home 56 years ago. "He's just really been a wonderful pet." ST. PAUL, Minn. – For her 10th birthday, Jeanna Smith was surprised with a special gift. Her party at the Milwaukee County Zoo would have been plenty. But then the zoo director – a friend of Jeanna’s father – handed her a young tortoise. It was Jeanna’s to keep. She still has her pet. 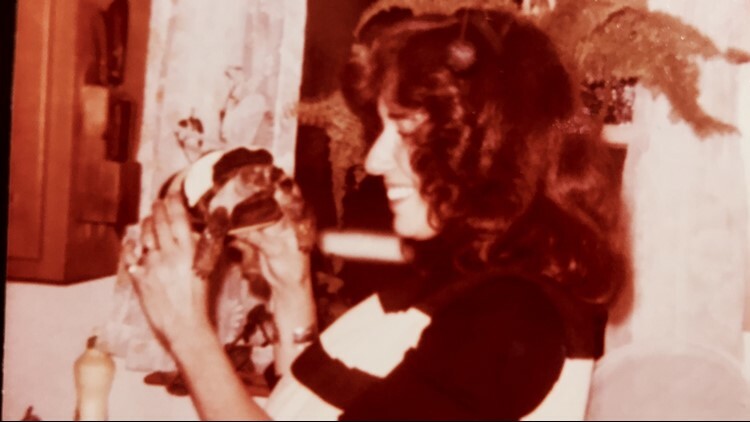 From day one, Jeanna had a soft spot for the creature beneath the hard shell. “He's always gotten strawberries and kiwi for Christmas morning,” Jeanna says. “He'd ride in my bike basket when I was a little girl." One year for Halloween Jeanna dressed herself and George as bees, greeting trick-or-treaters in their matching costumes. When Kirby Smith met his future wife at University of Wisconsin – River Falls, he quickly realized that Jeanna and George came as a package deal. “He doesn’t sit on your lap and can’t take him on walk, but he’s a great pet,” Kirby says. The Smiths have also owned a series of Labradors. Their pictures grace the refrigerator of the Smiths' St. Paul home. That is not to say there haven’t been close calls. Three times George has escaped his backyard, the most recent in 1988 when he burrowed under a fence. The neighborhood kids came to help with the search. A TV news crew showed up about the time George was discovered hiding beneath some foliage in a neighbor’s yard. He was quickly whisked back to his home. Thirty years since his last disappearance, George seems content to dine on lettuce and strawberries in the Smiths' kitchen. 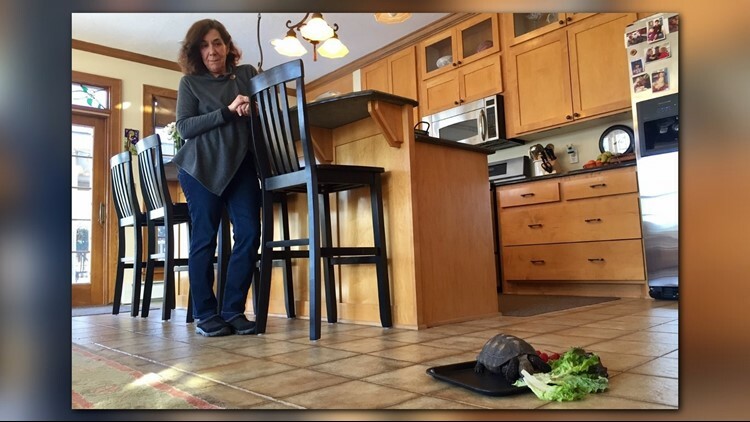 Jeanna, who fixed the meal, stands nearby. “I would say George is thriving,” she says. 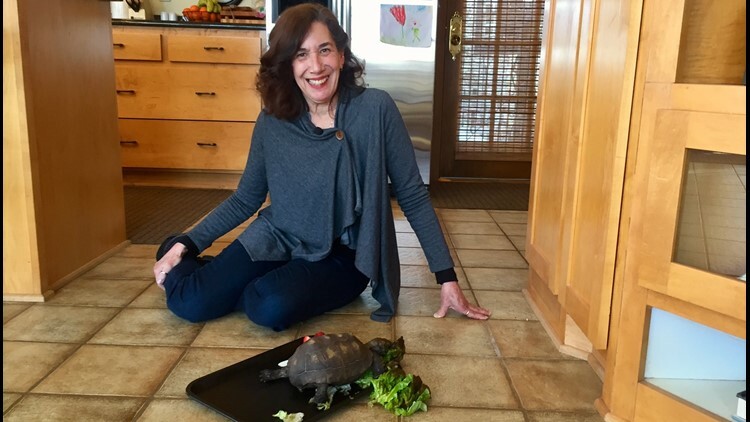 In truth, Jeanna’s tortoise has lived his life out of his element. 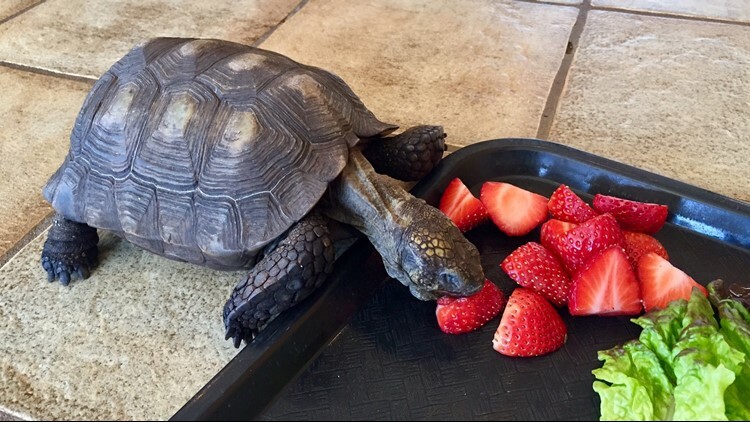 Tortoises like George are only found naturally in warm climates. They are now protected in the states where they live, making ownership of gopher tortoises difficult. Things have changed a lot since Jeanna was gifted George. 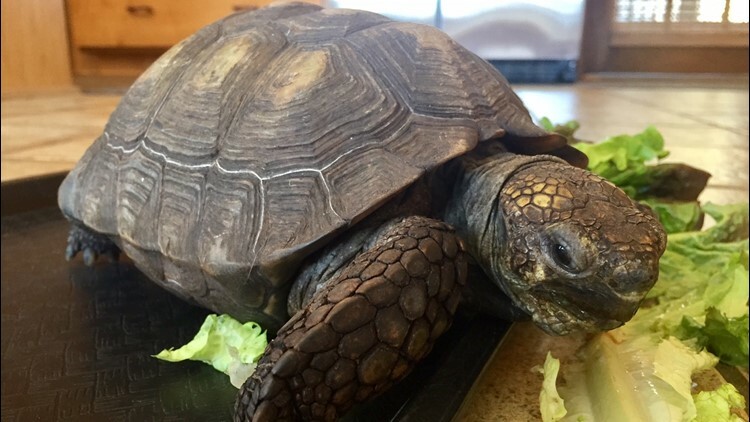 In nature, gopher tortoises can live from 40 to 60 years, but in captivity their lifespan has been known to stretch past 100 years. Which means George, who was given to Jeanna during the Kennedy administration, might still be alive for the Bieber presidency, should that become a thing.